During the week of May 7, thousands of educators across the state will receive thank-you notes in honor of National Teacher Appreciation Week. And this year, the work of a Virginia Beach City Public Schools (VBCPS) student will grace many of those cards. 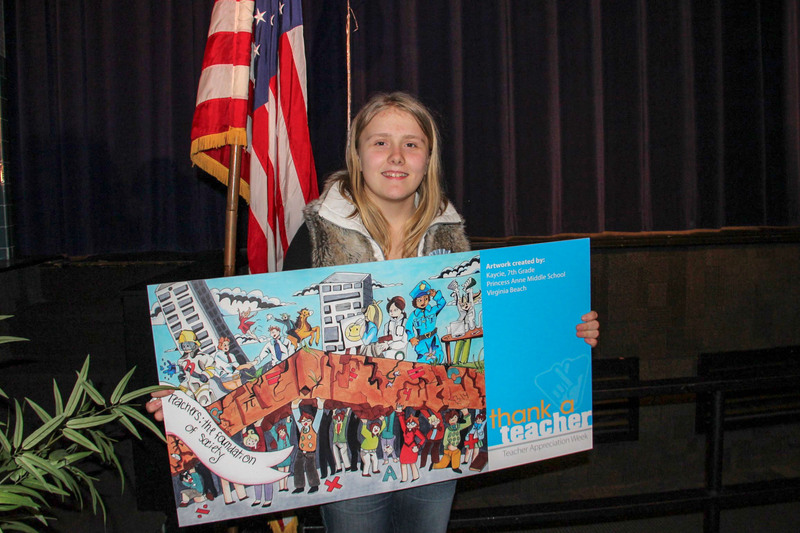 At a surprise ceremony March 22, Kaycie Colton, a seventh-grader at Princess Anne Middle School, won the middle school category in the Virginia Lottery’s Thank a Teacher Art Contest. Kaycie’s work will join two other winners from a Virginia elementary school and high school, respectively. Along with her award, Kaycie received a $150 gift card and the school was given $1,000 for the art department. 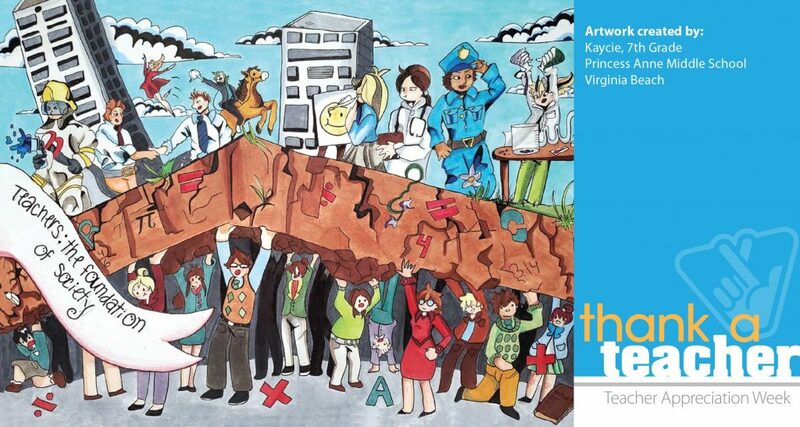 Thank a Teacher, a statewide campaign in its fourth year, is organized by the Virginia Lottery in partnership with the Virginia PTA and the Virginia Tourism Corporation. Contest winners are selected by a panel of representatives from Virginia’s arts community.